For the 2018-2019 year, we plan to meet once a month and the dates will vary. All sessions will be held at the Centre for Teaching, Learning and Technology (1961 East Mall, Irving K. Barber Learning Centre). All Contract Faculty members are warmly welcomed. Topics for each session will be announced closer to the date. 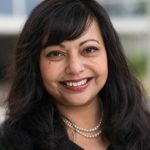 If you have any questions about this Community of Practice and/or ideas for future events, please contact Dr. Sarika Bose, Chair of Contract Faculty Committee of Faculty Association. *Please note session times and dates are subject to change. Visit the CTLT events website to register.